Last weekend, some of the Thread Cincinnati ladies and I were invited to a super cool event hosted by Cincinnati Premium Outlets, part of Simon Outlets. At the event, we had free reign to shop all the stores and were given swag bags and treats to celebrate. We had a blast picking out different storefronts to visit and helping each other conceptualize looks from what we #foundatSimon. 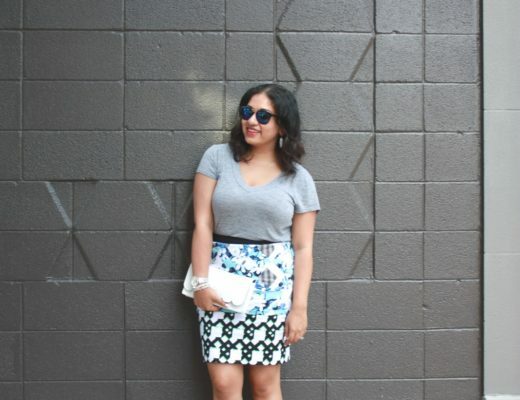 Today I’m sharing you this darling skirt and sandals that I picked up from the J.Crew outlet. 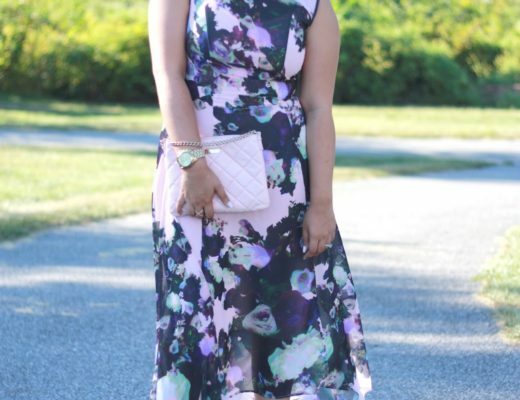 They give me a totally Parisian vibe and I see myself remixing them a ton this summer! This look actually reminds me a lot of this look, and proves how easy it is to make different outfits when you have versatile skirts and shoes in your closet. Make sure to check out all the Thread girls’ blogs to see what they scored! Oh my goodness, J Crew outlet is my jam!! I love it so much! The day after a holiday you can usually find it at an insane price. I also love the Kate Spade outlets!! I love love love the J Crew outfit!! This sounds like it was so much fun! i love j crew outlet! they just built a mercantile right be me, so i don't drive out to the outlet anymore, but they are similar. love the stripes! it looks so nice there!! I love J. Crew outlet, I always find so many amazing things there!! 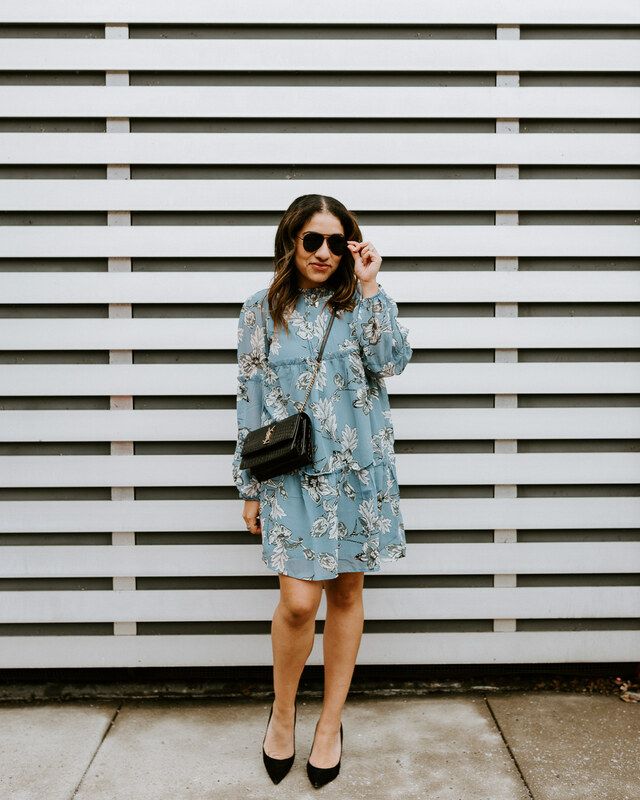 Love J.Crew outlets – found a great one once and I totally scored! I keep swooning over your Chloe bag!!! Thanks girl! One of my faves! Love that skirt with your slides and denim! Loving that striped skirt! So chic!! I love shopping at the outlet malls!! I just hit up the one in Niagara for a girls weekend and I definitely scored some sweet deals! 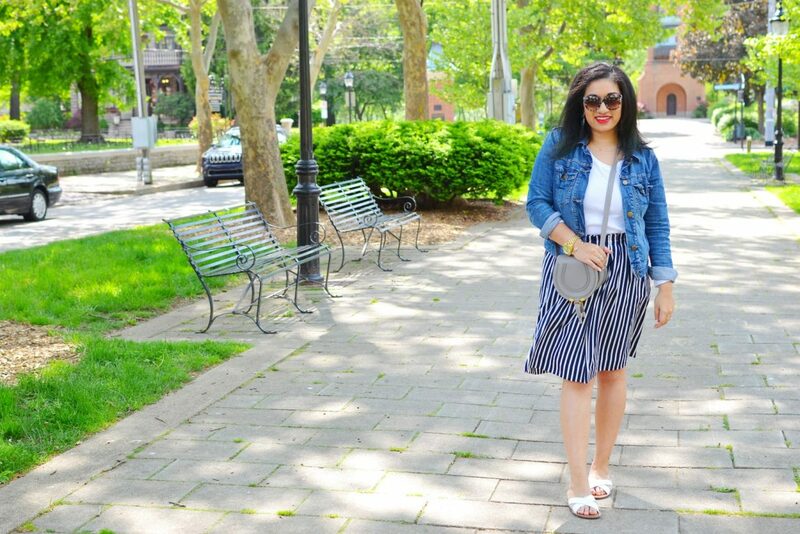 I love that striped skirt you found – you look so fab in it!! Gotta have the vertical stripes! It'd give this short girl some length! Thanks! It's such a steal too! It was a great time!